Between 1997 and 2013 we promoted, supported and advanced visual arts practice in the South West. In November 2013 the trustees of Appledore Arts announced that they have made the difficult decision to close the doors of the organisation after a fifteen year history of presenting what was the first annual Visual Arts Festival in the UK, in the beautiful estuary location of Appledore. 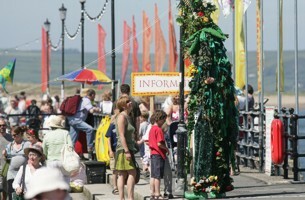 Throughout that time Appledore Arts has influenced many other Festivals. It was well known and loved for being innovative, initiating a wide range of imaginative Visual Arts events, and brought a range of national and international artists to the North Devon area as well as supporting local artists and giving them a platform to show their work. Appledore Arts worked with hundreds of artists, many thousands of people, with universities, schools and various community groups. Appledore Arts projects brought opportunities for people living, working and visiting North Devon to see, experience and take part in arts activity that they might not otherwise have had the opportunity to do. However, despite past funding successes the trustees recognised that there is a significant funding gap in order to maintain the quality of previous festivals and despite the commitment of the committee finding match funding has proved to be too much of a challenge in the current economic conditions. Appledore Arts has begun a process of winding down however we are pleased to share with you an online archive of our past festivals and projects to give people the opportunity to remember and celebrate the work that Appledore Arts presented. We hope you will enjoy looking around and remembering the vibrancy and creativity that was created through our Festival and projects. 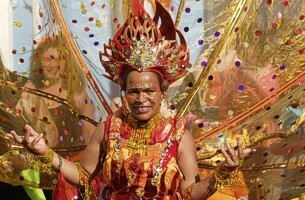 We would like to thank all the people who have participated in the fourteen outstanding Festivals. Appledore Arts was established by the artist Sandy Brown. Between 1997 and 2013 we ran the annual Appledore Visual Arts Festival which was recognised as one of the South West’s major arts events. In addition to the Festival we developed a wide range of artist-led projects including; a film based oral history project on Appledore’s maritime history; a project exploring North Devon’s significant ceramic heritage and how this legacy influences contemporary practice; Facing North a major new site specific contemporary dance project at Clovelly Court and the first artists residency at Bucks Mills Cabin now owned by the National Trust. “The Appledore Visual Arts Festival demonstrates that high quality art in the more rural parts of our region can be just as exciting – and important – as those in metropolitan centres “. Each year we provided a rich programme of exhibitions, events, residencies, educational projects and workshops involving everyone from internationally recognised artists to locally based craftspeople, children, community groups and the mildly interested passer-by. 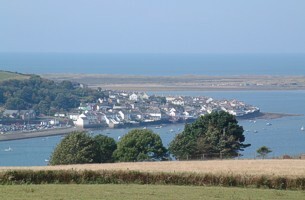 Appledore is an historic maritime village with a nationally important history in boat and shipbuilding. It is set in a beautiful estuary location with winding streets and stunning views, it is a joy to visit.